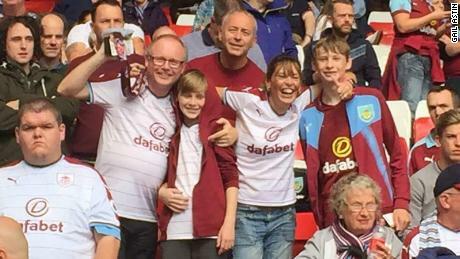 More than 66% of people in Burnley, in the northwest of England, who voted in the 2016 referendum voted in favor of leaving the EU, but fans of the town’s football team are targeting trips to the continent after it qualified for European competition for the first time in 51 years. Founded in 1882, Burnley Football Club punches above its weight in England’s top division against heavyweights and near neighbors Manchester City and Manchester United. Last season it finished seventh in the Premier League to qualify for UEFA’s Europa League, Europe’s second-tier competition. But for the fans the continent is still tantalizingly distant. Last week, the team kicked off its campaign with a two-leg qualifying round against Aberdeen, runners up in the Scottish Premier League. The first game at Pittodrie, Aberdeen’s home ground, finished 1-1, leaving the tie wide open going into the second leg Thursday night. “The tragedy for me is that Brexit is likely to hit the people who have the least. A lot of the problems that drove people to vote leave are not going to be addressed,” Campbell told CNN Sport. Despite his frustration over Brexit, he is ecstatic that the Clarets — as Burnley FC is affectionately known — are playing in Europe this year. “It’s huge. It’s massive for the town and it’s massive for the club,” he said. “It makes the club feel a little bit special. It’s impossible to overstate how important this club is in the town. Former Burnley goalkeeper Brian Jensen shares Campbell’s elation over Burnley’s return to European football. Jensen, nicknamed “The Beast,” is still adored by Burnley fans after playing for the club for 10 years and he wishes them well on their European endeavors. Football hasn’t always been a tale of success in Burnley. The last 10 years, since first getting promoted back to the Premier League, can certainly be seen as a purple patch but it hasn’t always been that way for the Lancashire club. For a start, the last time it competed in Europe was in 1967, when it featured in the old Inter-Cities Fairs Cup. Half a century has passed and for a lot of the time since, the club has been more concerned with survival than European glory. In the 1986-87 season, Burnley very nearly fell out of the English football league entirely. Only a win over Leyton Orient on the final day saved it. “I think to appreciate Burnley being in Europe now, you have had to experience the lows — there have been a lot of lows,” says Campbell. 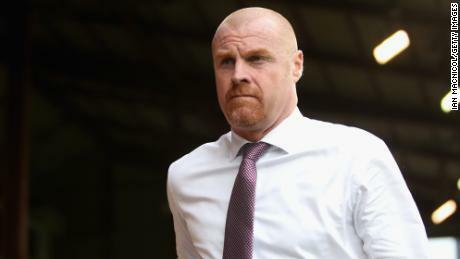 While acknowledging the recent success of other English underdog clubs in Europe, including Middlesbrough and Fulham, he reinforced his admiration for Burnley, saying, “No other club has played in Europe after once being 92nd in the football league” — the lowest a team can fall before crashing out of national competition. Before its return to England’s top division in 2009, Burnley arguably punched above its weight in the Championship for many years, but promotion always seemed slightly out of reach. But that season was pivotal. Jensen, the former goalkeeper, hinted that the club was staring administration in the face. “Five or six games before the end of the season we were told that we might not have jobs next season, so it was a hard pill to swallow,” he said. “But fortunately we put our heads down, played some good football and got promoted. The keeper wouldn’t be the first person to put Burnley’s recent success down to the current manager, Sean Dyche. “I don’t think anyone would have predicted Burnley playing in Europe right now — it shows what a good job Sean Dyche does up there,” he added. Off the pitch, Burnley has also had success. Burnley FC in the Community, the official charity of the club, was recently nominated on a shortlist of organizations for creating a positive social impact through sport in exciting, innovative and inspiring ways. About 24,000 people engaged with the charity in 2017, as it invested £1.7 million into communities and helped 800 disabled participants access sport every week, according to the club. The real spirit and love behind any football club is often found in the fans supporting it. Local man Simon Townley, 32, is a hairdresser for several of the Burnley football players. 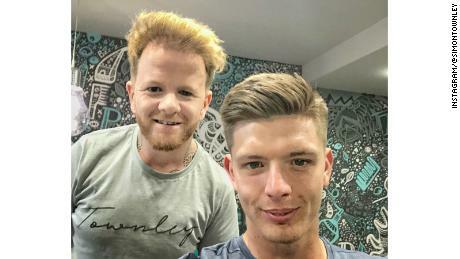 He even flew to Russia to cut some of the England footballers’ hair during the World Cup — Nick Pope, Burnley’s goalkeeper, was part of the national squad. “I’m pretty close to the guys. They’re good to me and I always try my best to keep the boys looking good,” he said. 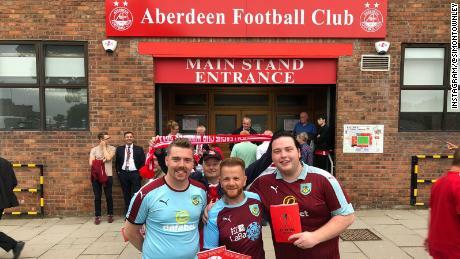 Townley flew to Scotland for the first game with Aberdeen and his enthusiasm for Burnley is palpable. On the Brexit issue he added: “Politics is what it is and football is something else. Ben Robinson, another Burnley fan, was more vocal on the issue of Burnley and Brexit. “Burnley is not one of the most prosperous areas and always seems to be on the end of some negative press,” he told CNN Sport. “I walk around the town center now and it’s really sad to see the number of shops and pubs that have shut down since the economic crash. So it’s fantastic for the town to be able to feel some pride again. “Regarding Brexit, without getting into the yes or no debate, it appears that it’s going to be Northern towns like Burnley that will suffer most from leaving the EU. Burnley fans may not have shared views on Brexit, but what they do have is a shared love and pride in their football club. “Qualifying for Europe can only be a good thing,” said Gail Astin. “It can hopefully increase the town’s profile, give it an opportunity to portray itself in a positive light, bring people in and give it an economic boost — if the club can have a run in the competition. Gail and husband Simon’s love for the club is “in the blood,” she says. “It means everything. Burnley is my home town. I am born and bred Burnley,” she adds. Robinson shares the same feeling, and relishes the unity the football club brings to the town. “There’s so much divide in the country at the moment. For example, Labour-Tory, right-wing, left-wing, pro- or anti-Brexit,” he says.